Happy First Day of Spring! There is a nasty gossip going around that the weatherman has predicted snow for us today. After several days of milder temperatures and seeing the last of the snow we received shortly after Christmas melt, more snow is going to be hard to take! But I personally think it is a rumor started by a certain groundhog to keep himself in the spotlight. 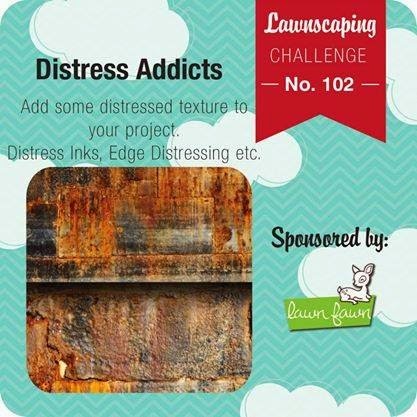 The current Lawnscaping Challenge is Distress Addicts. 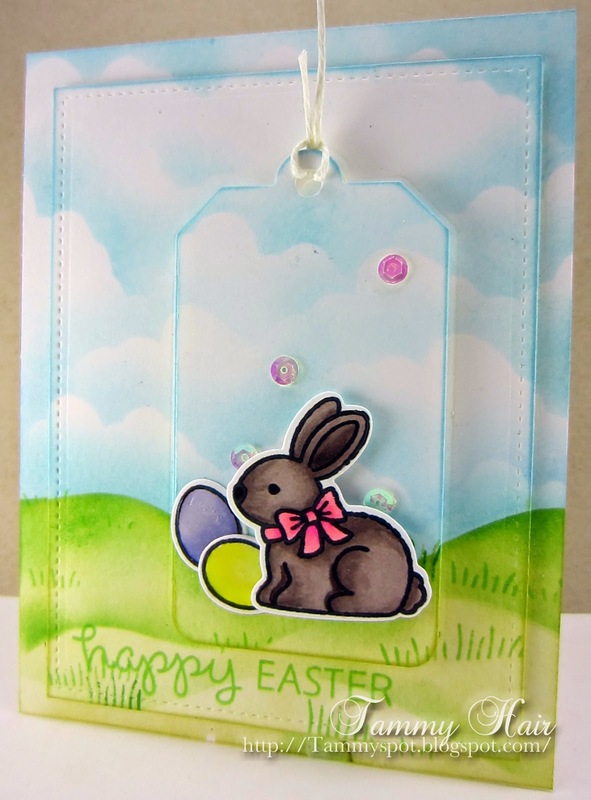 For my card I used Eggstra Special Easter and its companion die and Critters in the 'Burbs stamp sets along with Small Stitched Rectangles Stackables and Tag, You're It Lawn Cuts. I also made a stencil using Stitched Hillside Borders to create the hills. This is gorgeous Tammy, I love the scene you have created, wonderful layers and adorable bunny! Such a lovely spring card! Hope the weather man was just joking. We still have lots of snow that needs to melt, but at least there has been no new stuff! Oh my what an adorable card! I really love the background you created, it is a perfect spring backdrop! The little bunny is adorable too! Thanks so much for playing the Lawnscaping Challenge! Fabulous design Tammy..love the dimension and the scene you have created through the layers..awesome. This is such an adorable card! I love the bright, bold colors. The card really pops! Awww, I'm loving all the bunnies that are popping up! Sweet, with the clouds and grassy hillside, Tammy! Too cute for words, Tammy! What a precious Easter card! Gorgeous! You did a great job with those layers all blending together perfectly. Fabulous! Love the coloring and your design! I just love how you did this layered effect and kept it so soft and spring-like. I love it! 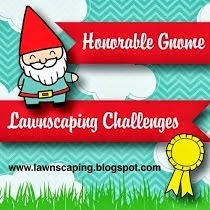 Thank you for playing along with Lawnscaping Challenges! This is super cute! I love how the tag just sets off the scene. Thanks so much for playing with us at Lawnscaping!